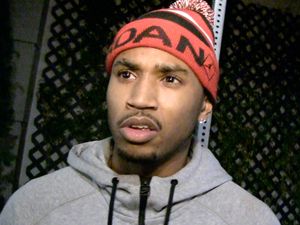 TREY SONGZ IRS SAYS HE WENT 'BOTTOMS UP' ON TAXES. Trey Songz skipped out on a major tab with Uncle Sam for about $750k ... according to the IRS which, as it always does, has come calling for the dough. Trey got hit with the federal tax lien last month in Miami -- letting him know he owes $748,870.08 on his income from 2013. That happens to be the same year he plunked down $35,000 a monthto live in a Hollywood Hills mansion. Priorities? Unclear how or why Trey fell short ... we've got a call into his rep, but no word back yet. It ain't chump change, but we're guessing another hit song and world tour can fix it all real quick.